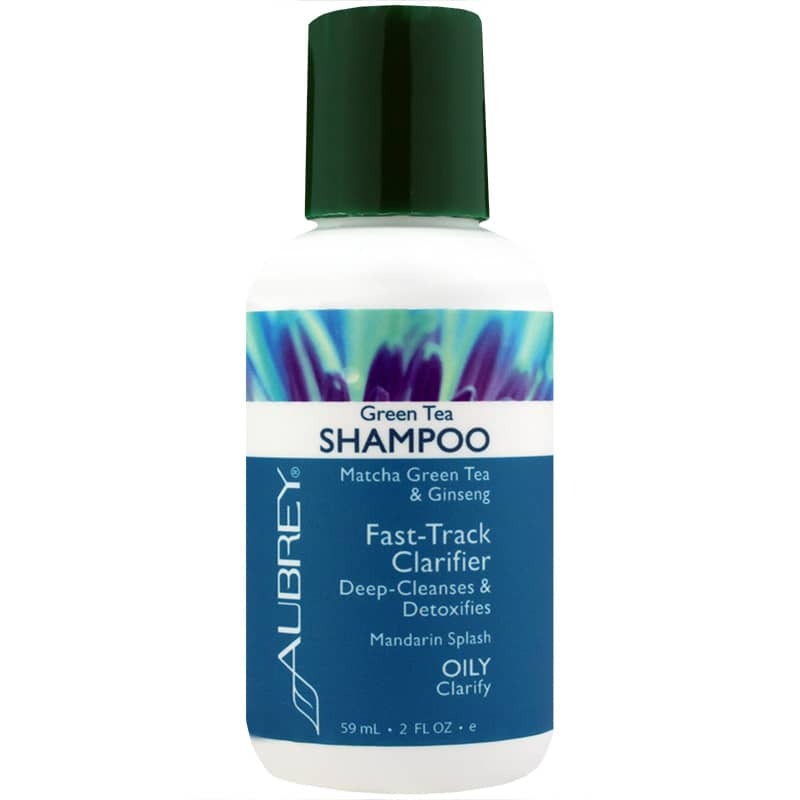 Green Tea Shampoo from Aubrey deep-cleanses with ginseng extract and organic Matcha green tea, and rinses clean to leave hair shiny, bouncy and full. A natural alternative to dandruff shampoos for oily scalp. Lauryl glucoside** (from coconut/beet sugar), decyl glucoside** (from coconut/corn sugar), alcohol denat. 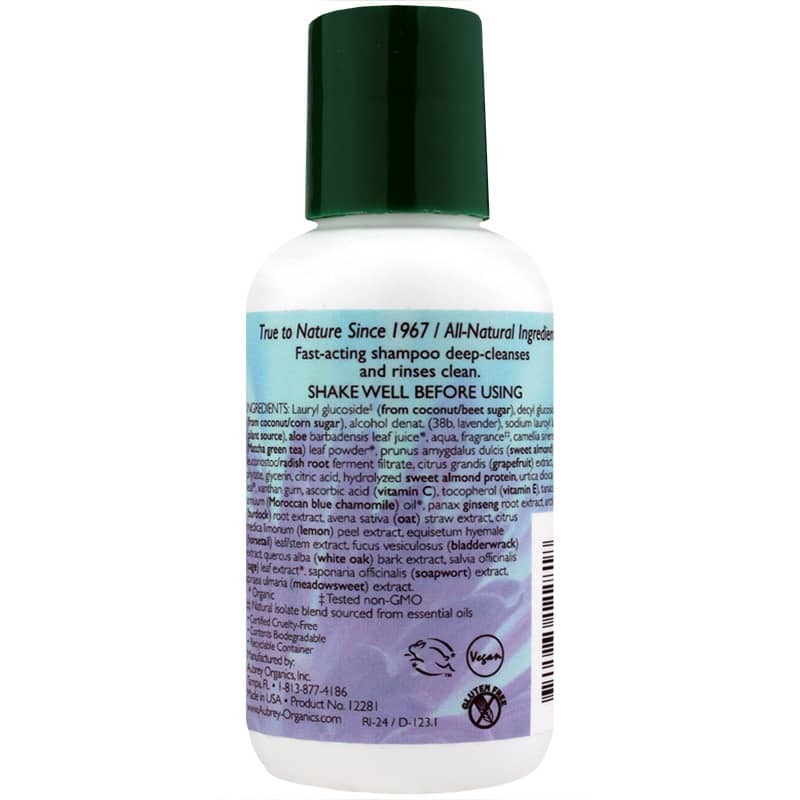 (38b, lavender), sodium lauroyl lactylate (plant source), aloe barbadensis leaf juice*, aqua, fragrance***, camellia sinensis (Matcha green tea) leaf powder*, prunus amygdalus dulcis (sweet almond) oil*, leuconostoc/radish root ferment filtrate, citrus grandis (grapefruit) extract, sodium phytate, glycerin, citric acid, hydrolyzed sweet almond protein, urtica dioica (nettle) leaf*, xanthan gum, ascorbic acid (vitamin C), tocopherol (vitamin E), tanacetum annuum (Moroccan blue chamomile) oil*, panax ginseng root extract, arctium lappa (burdock) root extract, avena sativa (oat) straw extract, citrus medica limonum (lemon) peel extract, equisetum hyemale (horsetail) leaf/stem extract, fucus vesiculosus (bladderwrack) extract, quercus alba (white oak) bark extract, salvia officinalis (sage) leaf extract*, saponaria officinalis (soapwort) extract, spiraea ulmaria (meadowsweet) extract. great price and product. I will shop here again. worked very well on my hair. Thank you! I have been using Green Tea Shampoo for several years now. It lathers up very well and takes very little to create a lot of soap. It leaves my hair very soft.